There are many different types and degrees of learning disability. The range of impairments is vast, and each individual with a learning disability has a unique set of needs and requirements. Due to the nature of learning disabilities, learning disabled people and their families often require support and assistance, including specialist healthcare. This support is often found in the guise of a learning disability nurse. A learning disability nurse’s job involves helping people with learning disabilities live as actively and fully as possible. A learning disability nurse often works within a multidisciplinary support team, supporting people of all ages that have learning disabilities. They often work with vulnerable people who may struggle to find access to social, health or educational services. Due to their physical and/or mental disabilities, many learning disabled people face challenges on a day-to-day basis. By helping to improve or maintain their physical and mental wellbeing, a learning disability nurse can help them overcome barriers, facilitating them in such a way so that they can work towards realising their life goals. By doing this, a learning disability nurse can help their patient achieve greater self-advocacy, equality and maximise their ability to live as independently as possible. In some cases, this might mean assisting in areas such as education and training, life skills or employment prospects. A learning disability nurse may help to organise social activities, as well as assisting with assessments, reviews, hospital admissions or care packages. Quite often it is possible to specialise in different aspects of the job, such as education or management. For the most part, learning disability nurses undertake residential or community work. Their work is mainly community-based, and includes working in a patient’s school or workplace, as well as special community centres. 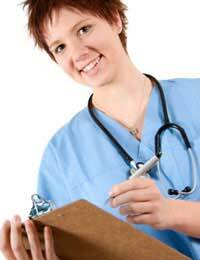 As some patients may require 24 hour care, it is not uncommon for learning disability nurses to undertake shift work. What Personal Skills Will I Need? A learning disability nurse will ideally have excellent communication skills. This is because people with learning disabilities communicate in so many different ways and media, and nurses will be working with people of all different ages and abilities. Therefore communication skills need to be flexible and intuitive. A person that wants to work as a learning disability nurse should also have a great deal of patience. The work may involve dealing with challenging behaviour and stressful situations, which can require a great deal of diplomacy as well as sensitivity. Aside from your patients, as a learning disability nurse you may be dealing with all kinds of people, such as professionals and service providers. In some cases you will have to be assertive and be able to deal with people confidently to ensure that your patients are afforded the same opportunities and rights as non-disabled people. Are There Any Other Requirements For The Job? To be able to work as a learning disability nurse, you will need to have obtained an approved degree or Diploma of High Education in Nursing (learning disability branch) from the Nursing and Midwifery Council. Alternatively, you may be able to obtain an NVQ Level 3 in Health via a Cadet Scheme, Apprenticeship or through work-based training. There are also some fast-track courses for those that have already been awarded with a nursing or health-related degree. To gain entry onto a course approved by the NMC, you will need to meet certain entry criteria. Firstly, in England you must be at least 17 and a half years old. Your entry onto the course will then be subject to a CRB check. In terms of academic skills, you will need to have evidence that you have adequate numeracy and literary skills and that you have recently managed to undertake successful study experience, as well as relevant experience of working with learning disabled people. You will also need to prove that you are in good health and are of good character. If you think that learning disability nursing is for you, then why not contact your local NHS trust for more information on how to enter into this challenging but highly rewarding career. I want to be train as learning disability nurse. Unfortunately I don't have any academic qualification. I finished my SSCE equivalent t 0' levels in Africa over 20 years ago and cannot find my certificate to attest to it. How can now start With this career I desperately want to achieve. At the moment, I am training to be a learning disability nurse. Already, I realize that this is a very rewarding and interesting career. It is good to know that people with learning disabilities are cared for in a very professional manner.